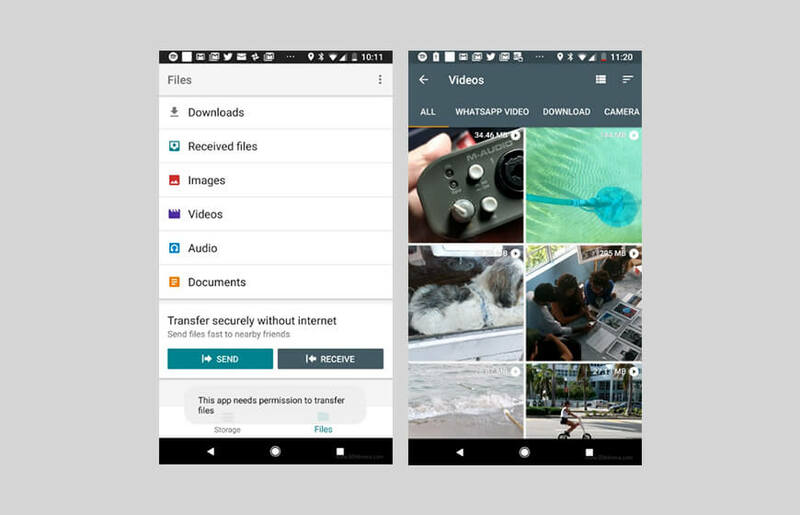 The new app named ‘Files Go’ has met with a tragic accidental leak, it has been posted to the Google Play Store for some time which is sufficient for any user to re-upload it to a file-sharing website. However, at present, the direct Play Store link is not leading anywhere except showing the error ‘Not found’. There are reports of sneaking around this mobile phone app by installing it via mirror link. Some useful features are apt to provide information and control over what this app is all about and how it is going to be a part of smartphone space. Under the ‘Files Tab,’ there is a list of file categories like ‘Videos’, ‘Images’, ‘Documents’ and ‘Downloads’. If a user taps on a category on their mobile phone, he/she can have a look at a specific file type and also where exactly they are kept in the storage. Now, File tab is a transfer tool, which is going to make the large file sharing much easier. Now if a user would want to send the batch files they just have to hit ‘Send files’ and the application will turn the Bluetooth on and also will ignite the ‘Hotspot’ for other people to connect by just tapping on to the ‘Receive’ in the same application. Certainly, Google has been secretly developing an amazing piece. There are more fascinating features to explore like ‘Alerts’ when the storage will be low on the mobile devices and also the ‘Alerts’ when the apps will be left unused for more than 30 days. However, as of now, this mobile phone app is not ready to function, it does freeze up in a short time while pulling down to refresh. Also, there is no appearance of any proper file management functionalities like, to unzip a file, copy and paste. 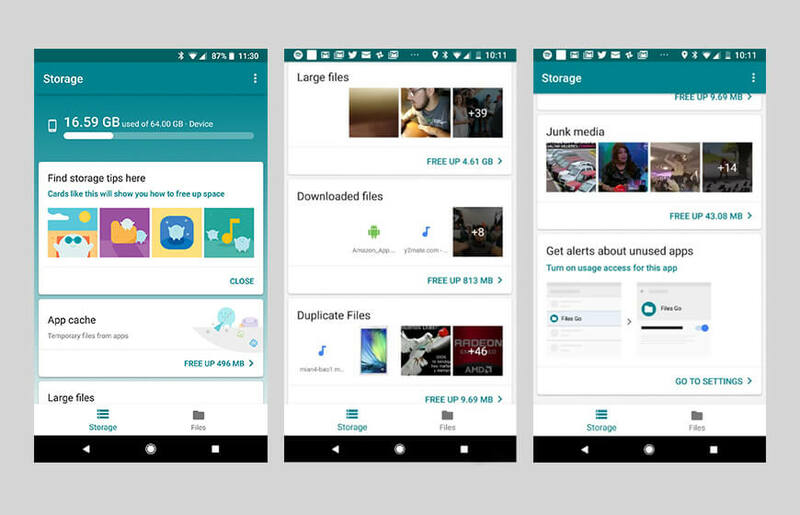 The entire idea revolves around that this storage app should be taking care of all the basic appfiles managing functions in addition to the smart suggestions. File transfer is going to be extremely easy and will give out amazing mobile app user experience. 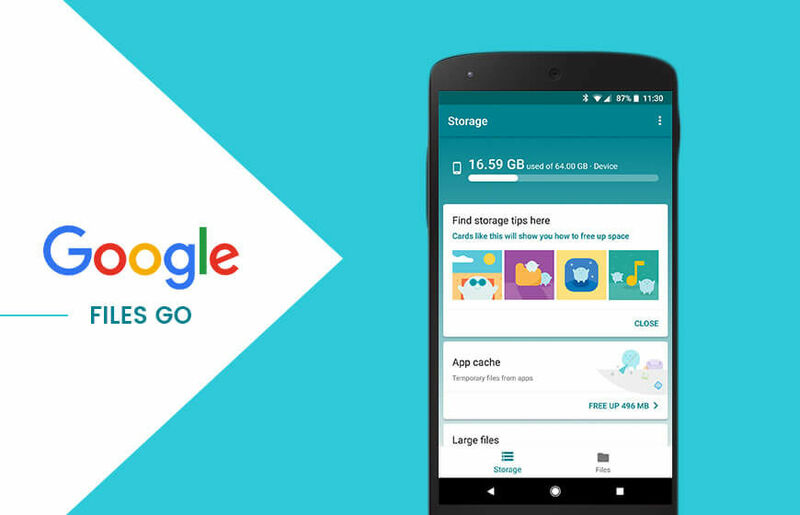 This Storage App will a valuable addition in terms of Google’s best performer list of in-house mobile applications. Entire world awaits the launch of this stunning app by Google.